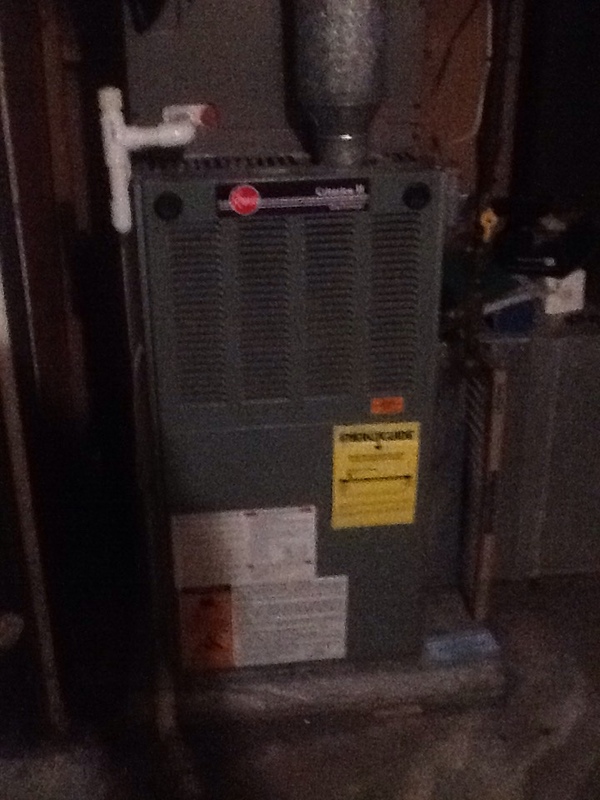 Replace gas valve on 80% Rheem furnace. 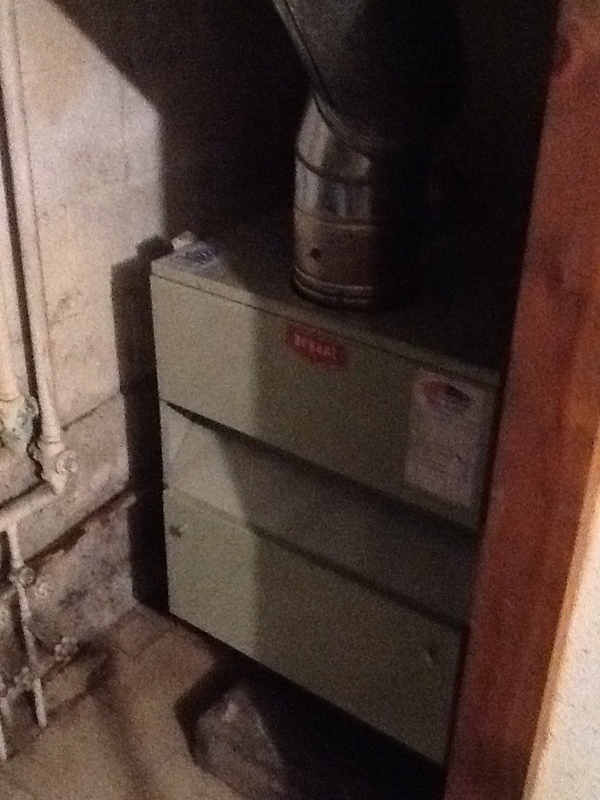 Annual heating maintenance for a long time Plus Maintenance Agreement customer. 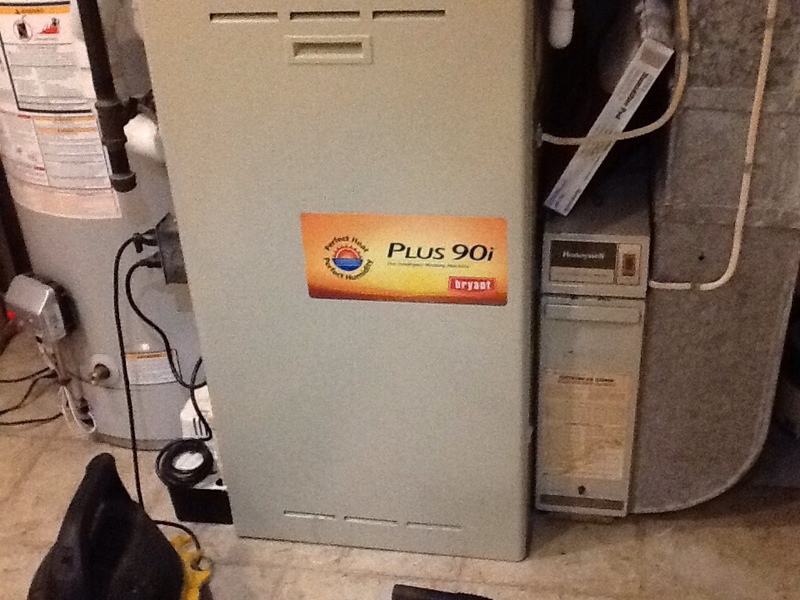 Annual heating maintenance for a Plus Maintenance Agreement customer. A/C leak check on a Boehmer air conditioner. Are you considering a whole–house indoor air quality upgrade, but don’t really know where to start? Does your existing air conditioner no longer meet your summer comfort requirements? Whatever type of HVAC service you need, we’re here. We employ a highly skilled and rigorously trained staff who are eager to take care of your home comfort needs, whatever they may be. We offer installation, replacement, repair and maintenance services for a wide range of central air units, heat pumps, furnaces, dehumidifiers and air cleaners. Peruse our site for details or reach out to us directly for further information. 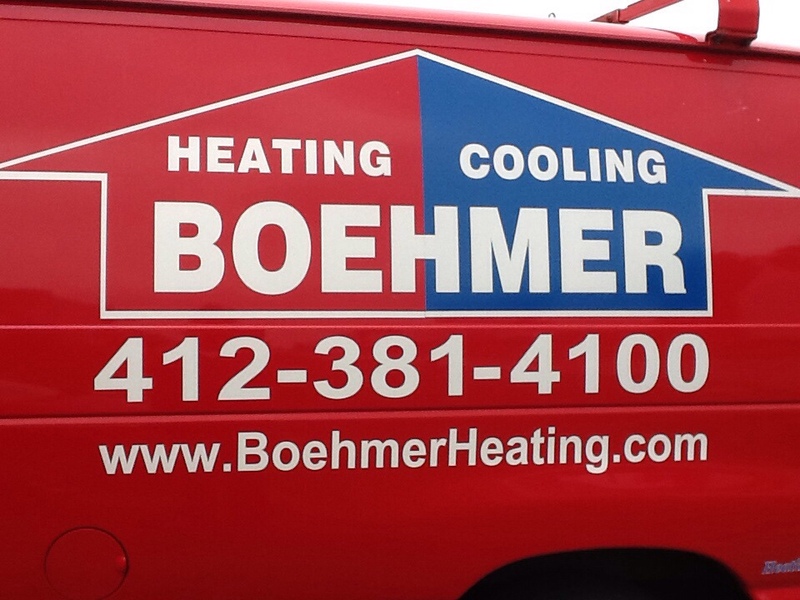 For excellent customer service and highly experienced technicians, call the residential HVAC experts in Castle Shannon, PA at Boehmer Heating & Cooling. We understand how stressful it can be when your heating system decides to stop working in the middle of winter, or when it begins to make a distressing noise. Not to worry. We can make sure that the problem with your heater is evaluated quickly and thoroughly so that you can feel good about the results. What’s more, we can also advise you as to the selection and installation of a new heater if you’re in the market for one. Contact our team today to get started. Don’t be tempted to fix your own whole–house heating system by internet videos and sheer DIY bravado. Instead, leave it to the experts, so that you can be confident that the job is well done and also that your system is in safe hands. 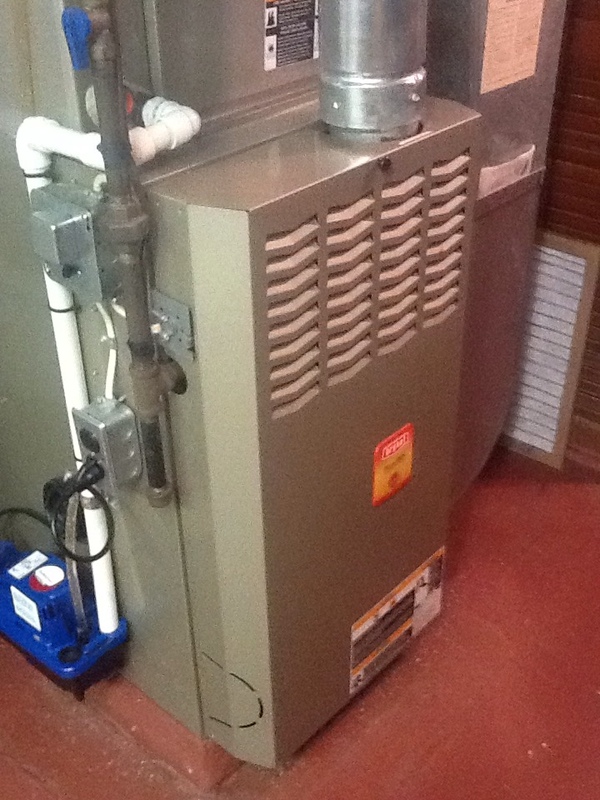 We provide heating repair for a wide range of different systems. Is your furnace acting up again? Does it seem that your system is not as efficient as it should be? Are you in the market for a new gas or electric furnace? Whether you need furnace installation, replacement, repair or maintenance, just let us know. We are eager to make sure that you have exactly what you need and nothing less. 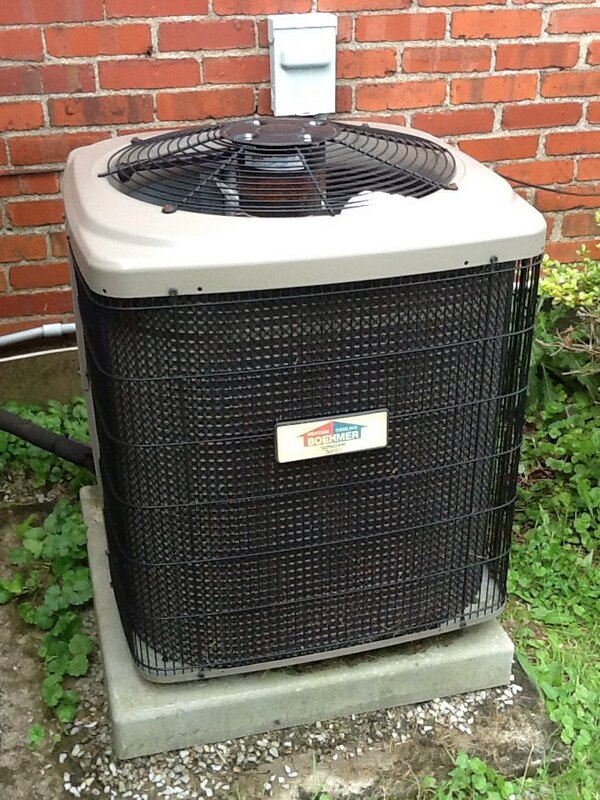 Of all of the HVAC systems you could choose for your household, the heat pump is one of the most sensible. Because it takes care of both your heating and cooling within a single system, it’s one of the most efficient systems around, and this also means you have less to worry about in terms of maintenance. Get in touch with a staff member on our team to learn more. When we say "comprehensive," we mean it. Our technicians are capable of handling just about anything when it comes to the installation of new central air units and heat pumps along with all required ductwork, and we can also make sure that your old system is swapped out as well. Moreover, our team offers exceptional air conditioning repair and maintenance so that you can count on us to restore performance and efficiency to your existing system, whether we installed it or not. The key to a long–lasting air conditioner is choosing the right one in the first place. If you find that your existing air conditioner must be replaced or you’re building a new home from the ground up and want a powerful and efficient whole–house air conditioner for the summer months, then let us know. 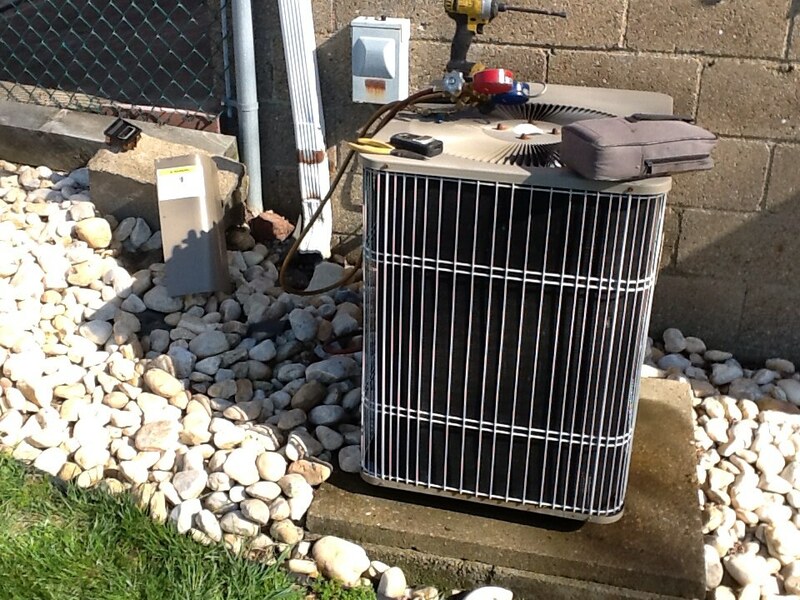 With our air conditioning installation service in Castle Shannon, PA is easy. Do You Need Air Conditioning Repair? Every homeowner realizes that their air conditioning system will need a fix at some point or another. But in order to provide you with our excellent air conditioning repair service, we need to know that you have a problem in the first place. Keep an eye and ear out for leaks, strange noises, high energy bills and a lack of even cooling. A geothermal system is also known as a ground–source heat pump. Unlike a conventional heat pump or even an air conditioner, a geothermal system uses the moderate, year–round temperature of the earth instead of the extreme fluctuations of the ambient air surrounding your home. Because of this, it is able to heat and cool your home with astonishing efficiency. Our technicians will be able to tell you whether your home is a good match for geothermal, as well as any questions that you might have. Let our team of experts advise you as to the best course of action when it comes to indoor air quality. As you may already know, there is no shortage of products vying for your attention. Walk into any hardware store and you can easily find dozens of small units that can be plugged directly into the wall. But although such equipment has its value for small spaces and single rooms, it cannot really compare to the power and efficiency of whole–house units that integrate directly into your HVAC system. Get in touch with us for details about what you can do to improve your indoor air quality in Castle Shannon, PA. Does Your Home Need an Air Cleaner? A whole–house air cleaner is not the same type of indoor air quality device that you can find in any hardware store. This is a whole–house air cleaner that is integrated directly into your heating and cooling system to ensure that your entire indoor air space is purified. We offer several different options for your consideration, and we also service them as well as install them.